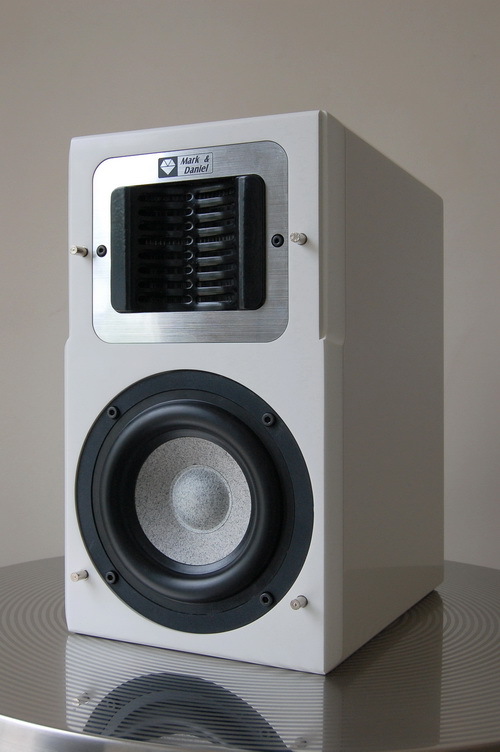 Since conventional dome or ribbon tweeters of the two-way speakers are capable of reproducing 3, sometimes barely 4 octaves (responsible from 2 KHz to 20 KHz in typical), the companion bass driver must therefore be responsible for another 6 to 7 octaves (from 40Hz up to the crossover point). This places a heavy burden on the woofer unit, not to mention imposing a severe difficulty toward the achievement of hi-fi reproduction cause by this compromise. 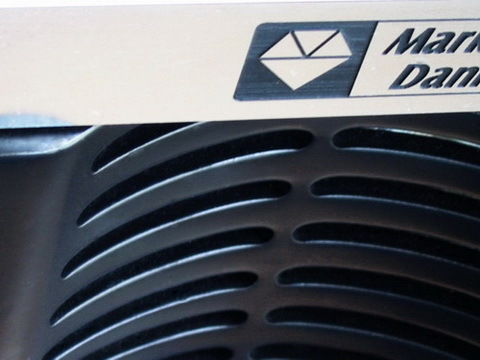 M&D’s Dreams (Directly Responding Emitter by Air Motion Structure) wideband, high resolution, low FMD driver is a special version of the pleated type of ribbon module that creates sound waves by “squeezing” the air instead of having a cone, planar, or dome-shaped diaphragm “pushing” the air. Its operation is based on the AMT (Air Motion Transformer) mode which invented by Dr. Oscar Heil in the 1970s. This is a more efficient, higher transit, direct response driver because the air mass (air movement) generated by “squeezing” is 5 times larger, and the velocity of the air particles travels 5 times faster, than that the produced by pushing and pulling of a diaphragm. It also provides a solution to the fundamental problems of diaphragm mass, inertia and self resonance. Take M&D’s first Dreams DM-1 driver for instance, it is the first curved shape driver with a large pleated ribbon diaphragm, the wideband modular driver ever conceived utilizing the AMT technology. The Dreams driver inherits all the advantages of the planar ribbon tweeter such as light weight, excellent transit response, high resolution, resistive impedance, and high power handling; in addition the Dreams AMT driver provides up to a 5 octaves of wideband operation, even sonic dispersion, lower FMD pollution, and higher SPL output capability from 800Hz all the way up to 22KHz. Imagine -- all the musical information above 800Hz is now able to reach to your ears through one single emitter, without any delay, without phase variations, without interference between different drivers. The depth, spatial width, sonic accuracy and effortless, natural resolution which our design guarantees that the wideband Dreams AMT driver has established a new standard for true Hi-Fi reproduction! !